Want to improve the quality of your customer relationships? Well, you need to quantify them first, with (spoiler alert) the data from your CRM. CRM (Customer Relationship Management) software allows you to manage customer interactions in a data-driven, meaningful, and profitable way. 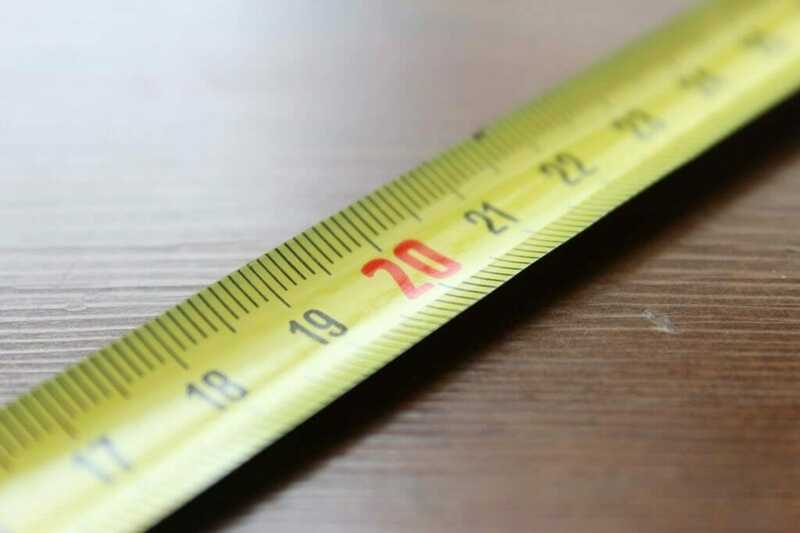 However, applying the correct standard of measurement to your campaigns can be challenging. Which metrics indicate success? How do you find them? What do these numbers actually mean? Today we’ll talk through the five “must-track” CRM metrics that point to growth. Tracking these data points will bring awareness to what’s working and what’s not, so you can optimize your campaigns to acheive the best results. This metric tells you your price per lead and helps you estimate the total spend for your lead generation efforts. To calculate your customer acquisition cost (CAC), divide the number of customers gained in a given period by the total amount your business spent in that same period. This includes all advertising spend, salaries, commissions and bonuses, and overhead. For example, if you spent $10,000 on sales and marketing this quarter and added 10 customers, your CAC is $1,000. Use this figure to estimate the budget amount needed to add more new customers. This metric gauges your marketing performance and indicates how you can better allocate resources to optimize customer acquisition. Customer lifetime value (CLV) is the estimated amount of money an individual will spend throughout their relationship with your company. In other words, it’s the quantifiable benefit of acquiring and keeping a given customer. This figure helps you determine how much you should be spending on customer acquisition. It also reveals the value and longevity of your customer relationships on a higher level, so you can see if you’re focusing your efforts on the right audiences. To calculate CLV, multiply the average annual profit you make off of customers by the average retention time per customer. 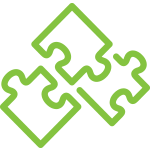 Then, subtract the cost of acquiring the customer (CAC) to find your CLV. For example, say you make an average of $3,000 off of your customers each year, and they stick around for an average of two years. Multiply these two figures to get $6,000, and then subtract your CAC of $1,000 for a CLV of $5,000. This metric helps you discern how to better invest in your existing customers to increase their value over time, since acquiring a new customer costs 5x more than retaining an existing customer. CLV also helps you assess the quality of your customer experience. For example, a high churn rate due to poor customer service will diminish your CLV and your revenue. If your customer lifecycle is shorter than expected, try to identify why. Finding ways to improve CLV – perhaps through upselling, cross-selling, and loyalty programs – is a clear path to sustainable growth. The length of a sales cycle is the average time between when a prospect is created and when they’re closed. In other words, how long does it take someone to compile the necessary information and make a choice about your company? How long it takes to convert a lead is key because it shows you the velocity of your sales pipeline. This ‘closing speed’ helps you estimate the best time for mid-funnel engagements – such as sending a quote, moving to close, etc. 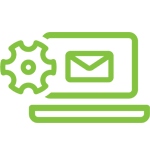 If a lead is lagging behind the average window for closing, you could trigger a message to encourage action, such as an email offering a discount. Once you’ve established a timeline, you can work to accelerate your sales cycle from there. Are leads getting bogged down at a certain touchpoint? Look to optimize your content assets so your sales reps can spend their time on the most qualified leads. Speaking of sales reps, the average sales cycle is also a baseline metric for their performance. If one employee is slower than the rest, you can flag areas for improvement. What if a particular rep is closing faster? Identify their path to success and spread what’s effective along to the rest of the team. This metric shows you what percentage of new business was driven by marketing. You can use it to understand the overall impact of your campaign efforts. To calculate, look at all the leads generated in a given period and determine what percentage of them cane to you from a content asset or campaign by your marketing team. This will allow you to credit your marketing team where due and refine how you allocate resources to drive results. Keep in mind, this figure will vary widely by industry. Companies with an internal sales team will find this number to be higher than those with an outside sales team. For example, if your marketing team is entirely responsible for lead generation, your percentage might be between 40-80%. But if your company uses cold calling to generate leads, this number can drop as low as 10-30%. Note: You can also calculate this number by revenue rather than by customer, depending on what makes sense for your business. This metric indicates how long it takes to pay back the cost of acquiring a customer. This number also differs a great deal by industry and pricing model. 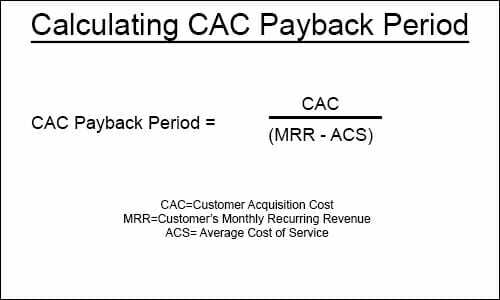 To find this figure, divide the CAC by the margin-adjusted revenue per month for the average new customer. The resulting number will be the number of months required until a payback. For industries with one-time purchases, this metric is less relevant, as the upfront price should always exceed the cost of acquiring a new customer. For industries that use annual or monthly contracts to achieve payback, the CAC should be assessed over a 12-month period. This will show you the duration after which customers are profitable, helping you to set an accurate budget and more effectively predict growth. When you measure your results, they’re bound to improve. The metrics available in your CRM are essential to assessing how you’re doing in your marketing and sales efforts. Use these formulas to benchmark your campaigns, optimize your efforts, and predict revenue. If your results are supported by hard data, that means you, your CEO, your clients, or anyone else can be confident in your future success.